Thank you Claudia for a wonderful service both in Italian & English, it was not only very beautiful but also very special the way in which you celebrated our union both professionally and joyfully. 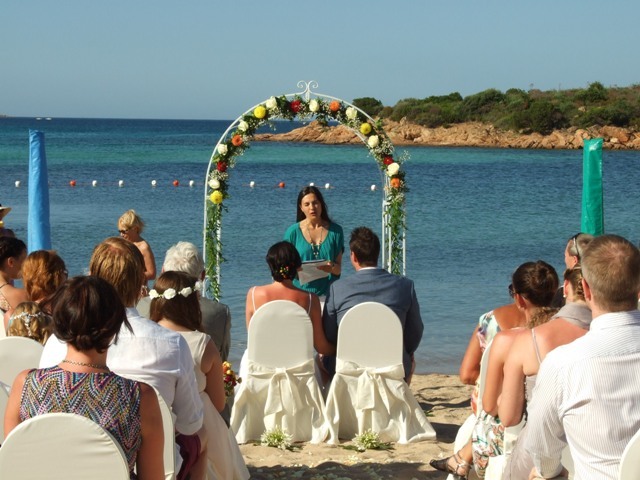 Claudia was lovely to deal with and so helpful to create a special symbolic wedding ceremony in Sardegna. 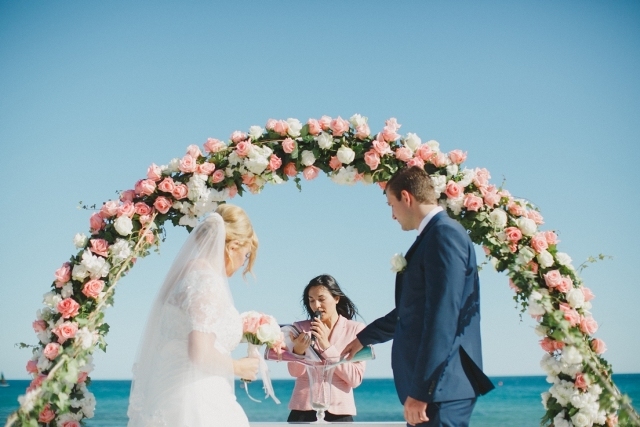 As we organised our wedding from overseas she remained constantly in touch with us to choose the exact format of our service. 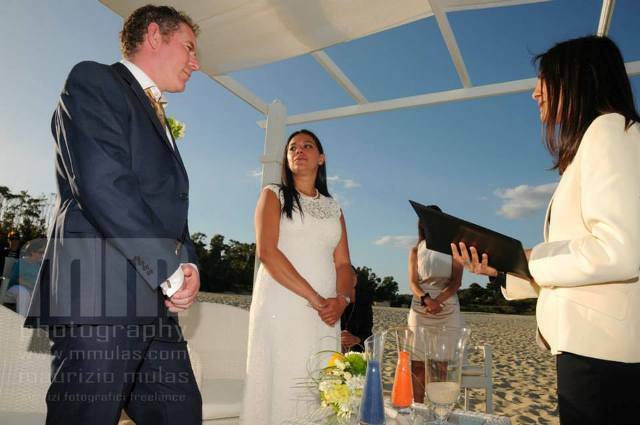 She provided examples and guidance to help us decide on our vows and exchange of rings. 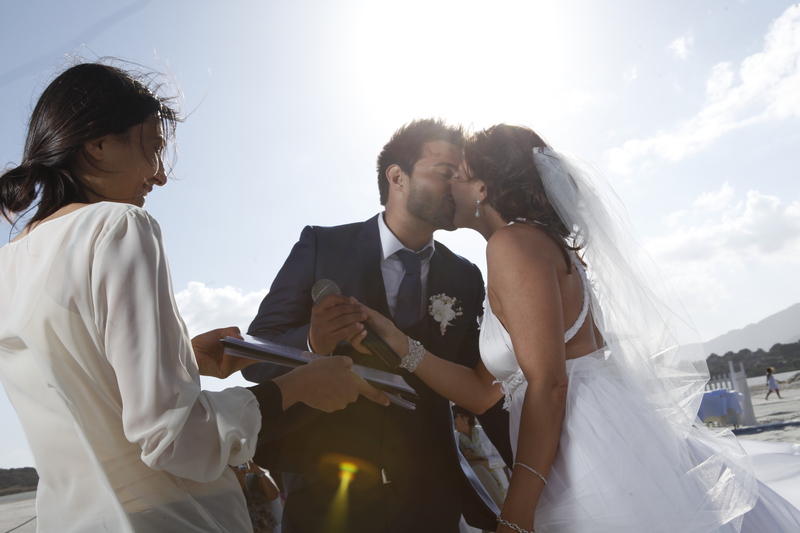 She conducted our service perfectly in both Italian and English and was extremely professional and kind hearted. It was a pleasure to have her part of our special day.